To compete at the accelerated pace of technological innovations and the 4th Industrial Revolution, Africa has to put in more money into training its people and equipping them with the skills they need for the jobs of the future, Akinwumi Adesina, the President of the African Development Bank, has said. He also called on African countries to rethink the way they do manufacturing. Africa CEO Forum on March 26, 2018 in Abidjan, Côte d’Ivoire, Adesina reminded stakeholders that, in spite of the current pace of breakthroughs, Africa still lags behind. Adesina called for the establishment of high-technology industrial clusters with a particular focus on the factories, skills and jobs of the future. “The key is to make sure that the CEOs are investing in the factories of the future. Why must we just be consumer-centered? We have to innovate, we have to create. We have to be entrepreneurial in driving the continent towards the 4th Industrial Revolution. 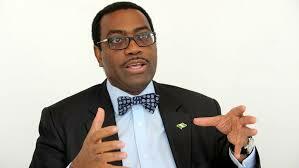 To strive in this new environment, we need digital infrastructure,” Adesina said. Adesina called on Africa to lead the way, but called on Governments and the private sector to invest in infrastructure for the digital revolution to succeed. The African Development Bank, he said, is leading the way in de-risking the businesses of young people to help them have access to finance. “We need to give young people more access to capital so they can expand their ideas. When a young person goes to a bank, people don’t see ideas they just see risk, risk and risk,” he stressed. The Prime Minister of Côte d’Ivoire, Amadou Gon Coulibaly, who also spoke as a panelist, said training was indispensable in transforming Africa’s industrial sector. “It is important to give our youth the skills they need to cope with this digital revolution. We need to continue to train our youth to find local content for the transformation,” he noted. “If technologies don’t form the industrial revolution, we don’t compete. Innovate and lead the charge,” said Stephanie von Friedeburg, Chief Operating Officer for the International Finance Corporation. For his part, Alhaji Abdulsamad Rabiu, Chairman and Chief Executive Officer, BUA Group, stressed the need for African Governments and the private sector to work together to develop the technologies required for an industrial revolution. “You need jobs, but you also need technology,” he said. He recalled the e-wallet system introduced by Adesina while he was Nigeria’s Agriculture Minister to curb corruption in fertilizer distribution and emphasized the place of technology in socio-economic development. “In our cement operation, it is difficult to achieve efficiency without automation and technology. Across the board, it is important to bring in technology,” he noted. Amine Tazi-Riffi, a Senior Partner at McKinsey, also charged Africa to improve the quality and number of engineers that its trains. It is great to read your article. Thanks for sharing these valuable tips.